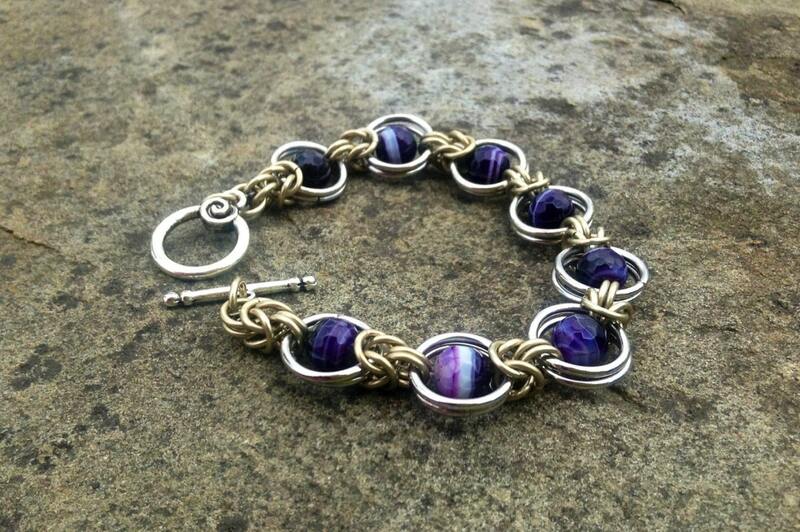 This specific chainmaille bracelet is made with Purple Striped Agate 8mm faceted beads. 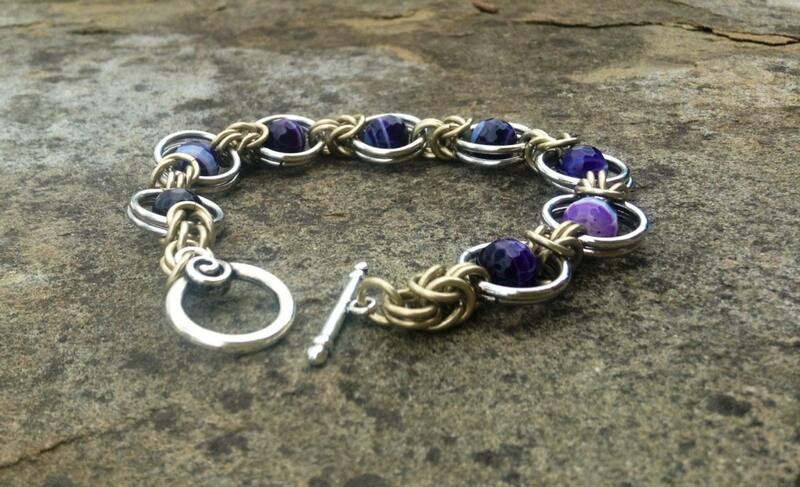 Rhodium and Nickel rings were used in making this item along with a toggle clasp. There are 8 beads in this bracelet measuring under 8 inches about 7 3/4. Size variations can be made by every 3/4 an inch by changing the amount of beads used. Just message me when you pay for the item & I will make the adjustments- The price stays the same regardless of the changes that you request. This bracelet is available in multiple colors so if your interested in the style but are looking for another color, please message me! If interested in a matching set, I do have earrings available at no extra charge.